When I was a young person, I sat under Pastor Conrad, a fundamentalist preacher in the GARB (General Association of Regular Baptists). I remember thinking to myself, “We’re both Christians, we both speak English, but sometimes it seems like we’re from different planets.” As a teenager, I wasn’t able to discern his unspoken assumptions and attitudes. Ever since then I have been puzzling over differences within the Body of Christ. In college I studied theology, Biblical literature, and church history, which is replete with diversity. Paul describes the church’s diversity in I Corinthians 12. Paul hammers home that every part of the Body has a purpose. People shouldn’t think to themselves that they don’t have a purpose because they are not like someone else, and people shouldn’t say that they don’t need certain people, no matter how useless they may seem to them. Because of our different perspectives, we may not see what it is that they do, or we see it and can’t appreciate why it’s important. In the context of diversity in the Body, I have two favorite body parts, Bone and Stomach. 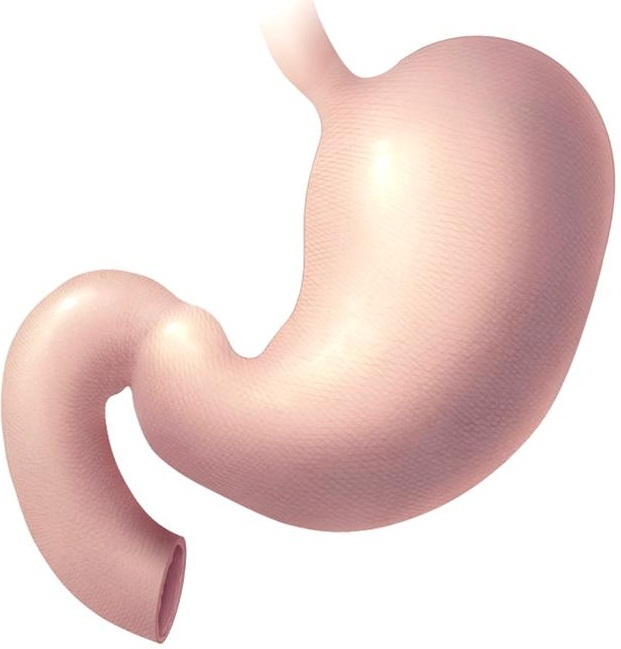 Bone and Stomach are quite different from one another. I published the following paragraphs last August. And they are both correct. If Stomach was like Bone, never letting anything get to it, Body would die. If Bone was like Stomach, without its rigid strength, Body would collapse in a formless heap and die. Stomach is right to ingest what others see as garbage, and Bone is right to be firm and unbending. They’re uniquely designed for their tasks. It’s who they are. It’s how they function in Body. I think I’m like a stomach, ingesting all kinds of stuff that would be deadly for Blood or Bone. And I confess I find it hard to deeply appreciate the bones around me. But those seemingly rigid, unchanging, and predictable bones give the Body I serve the shape it has, serving as anchors for Muscle and Tendon which allow Body to move and travel and sit and rest. I don’t totally understand bones. They’re so different from me. And I suspect they don’t understand me or my function either. But intellectually I understand how they are [may be?] necessary. Paul said, “Those parts of the body that seem to be weaker are necessary,” so I’m sort of obligated to assume it’s true and puzzle it out from there. Theoretically I appreciate their role. I am called to love and respect them. Whether they love and respect me is between them and God. And sometimes, if I can’t muster love and respect, toleration will have to do. And that’s okay. To which I would add, it is unreasonable and unrealistic to require everyone to celebrate all differences, to celebrate all diversity. Sometimes tolerance is all a person can muster. Personality Types have been helpful to me to understand conflict in the church. The two systems I’ve spent the most time with are 1) the Meyers Briggs Type Inventory and 2) the Enneagram. Meyers Briggs has sixteen different types, with each type labeled by a string of four letters. The Enneagram consists of nine types, which map out directions of growth and describe how we revert to unproductive default actions when were under pressure or feel threatened. In Meyers Briggs the “S” stands for Sensing, and “J” for Judging. SJ’s are labeled Guardians and Traditionalists, and roughly 38% of the population are SJ’s. In general, ESTJ’s tend to be authoritarian. According to Stephen Bungay, “There is some correlation between authoritarianism and extreme SJ behavior, especially ESTJ.” Estimates for the percentage of ESTJ’s in the population range from 8% to 15%. Bungay also says, “The SJ type is most likely to prefer following precise rules rather than exercising initiative.” p. 286, The Art of Action, Stephen Bungay, 2011. Key Motivations: Want to have security, to feel supported by others, to have have certitude and reassurance, to test the attitudes of others toward them, to fight against anxiety and insecurity. They are the most out of touch with the ability to make decisions and act on their own without reference to a trusted person, an institution, or a belief system. In a sense, Sixes have difficulty trusting their own minds, their own ability to know what to do without reference to ideas that are not their own. Thus, once Sixes have found some system of thought that seems reliable to them, they must constantly evaluate any new ideas that either contradict or alter what they have understood to be true. They are looking for something—a set of guidelines, an authority—to supply them with a direction in life, to tell them what they can and cannot do, to give them more clarity, to put limits on them—in a word, for security. There will always be a large percentage of the population, somewhere between ten and forty percent, who gravitate to authoritarianism, following prescribed rules, a set of guidelines, an authority—to supply them with a direction in life, to tell them what they can and cannot do, to give them more clarity and security. Brian McLaren is an example of someone who is most definitely not a bone. He is a light to non-Sixes across the English-speaking world. His books include A New Kind of Christianity, Generous Orthodoxy, The Secret Message of Jesus, and Everything Must Change. You can tell from the titles he wants to change the church. But the rigid, rule-following loyalists and guardians are not going away, and neither are the flexible, independent questioners of orthodoxy. Christendom has always had its dissenters and non-conformists, but the loyalists and guardians of truth are embedded in the structures of Christendom, busily training new loyalists and guardians of truth to take their place. As you saw in my last post, thinking Christians (like Søren Kierkegaard in the nineteenth century, Dietrich Bonhoeffer during WW II, and Anne Rice in this century) have been critiquing the church for a long, long time. And students of church history gravitate to figures and movements with which they identify, examples that inspire them. That’s why we find certain Christian authors so inspiring. Their words and stories resonate for us. In my last post, Gene Edwards critiques the modern practice of pastoral ministry. Wikipedia gives us some of Edwards’ historical interests. It is easy to see who Edwards found fascinating. He drew inspiration from the small, marginal, dissenting groups, not the big name authorities like Calvin, Wesley, Luther, or Aquinas. Identification with Dissenters of the Past – Edwards draws much inspiration from persecuted groups throughout church history. Showing some affinities to Baptist successionism, he devotes much of his energy to chronicling the stories of marginalized groups such as the Paulicians, The Priscillianists, the Albigensians, the Waldensians, the Bogomils, the Anabaptists, the Lollards, and the Moravians. Edwards also finds much to be commended (and criticized) in more recent groups such as the Plymouth Brethren, the Little Flock of China, and the Local Church movement in the United States. Critics have always been in the minority, frequently persecuted minorities, but they’ve always been around. And they have never overcome the institutions of Christendom. Christendom and its the seminaries and denominations will always be dominated by SJ’s and Sixes–by Bones. The fact is that we will never come to a perfect place where our differences are all settled, but that’s no reason to not speak up, to not to labor to realize our ideals. Again, Solomon said, “Whatever your hand finds to do, do it with all your might, for in the realm of the dead, where you are going, there is neither working nor planning nor knowledge nor wisdom.” (Ecclesiastes 9:10) In the book of Revelation we are told, “Wake up! Strengthen what remains and is about to die, for I have found your deeds unfinished in the sight of my God.” People can be strengthened and encouraged by your words and actions. People can be given hope, and refuse to give up. There is life in your words and your example. I don’t look for ESTJ’s or Sixes to hang out with. There is an elderly SJ in my congregation who drives me absolutely nuts. She worships authority, apparently only receiving instruction from clergy. And I know from how she reacts that I can barely open my mouth without setting her teeth on edge. In contrast, I never met an authority I couldn’t challenge. If ever there was a pure type, she’s one of them. My personal solution: avoid her. There is no solution to the presence of SJ’s and Sixes. They are permanent fixtures, as permanent as every other hard-wired personality type. Education can help, but not to change the underlying personality. In the context of the churches, one thing we can do is convince Bones of the Biblical priorities and principles to which the ENTJ’s and Sixes must be loyal. ESTJ’s and Sixes must be helped to understand that the Bible they hold dear requires them to tolerate more diversity than they find comfortable. But Bones are Bones. They have a function to perform. If you enjoyed this post, the following links may interest you. This entry was posted in Christendom, Diversity and tagged Dependence, Enneagram, ESTJ, Meyers Briggs, Security, Sixes. Bookmark the permalink. Really needed this. I work on tolerance constantly but avoidance seems to be my best strategy. I cannot understand those who work for change from within and sometimes get very irritated with them. However, I am trying to understand that they do serve a purpose and are generally happy with their task (at least I hope so). Wish I had read this post before you commented on my blog about thinking my personality was part of my Wesley quoting fetish. 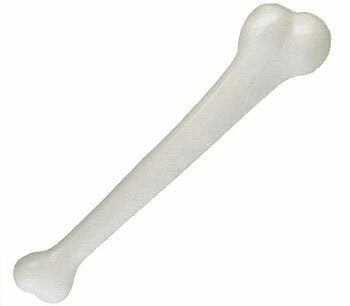 I wonder if you have me pegged as an SJ bone type. That would be funny because I am an INFP, and quite consistently so for 20+ years.